All flight instruments including varios (variometers), alti-varios (varios with altimeter but no GPS) and alti-vario-GPS combos (varios with altimeter and GPS) for paragliding, hang gliding, free flight, powered paragliding (PPG), paramotoring, powered hang gliding and hot-air ballooning. The Fairhaven Micro Alti Plus is a wrist or riser mounted altimeter packed with features, combined with a super sensitive vario with really loud audio. 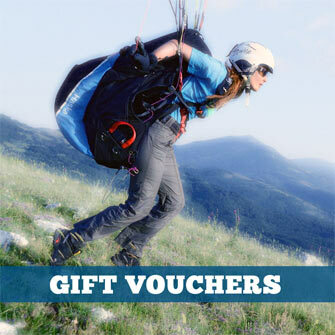 For paragliding, hang gliding and paramotor pilots. 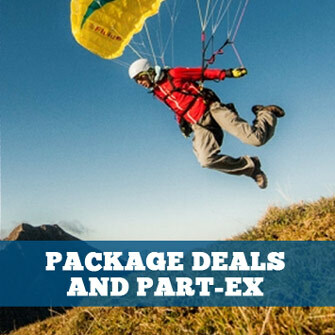 The VARIO LS is a basic, easy to use affordable flight instrument developed with paragliding beginners in mind, or advanced paraglider pilots who just want to keep it simple. Element Alto is right for you if you are looking for a simple, robust and reliable vario. The VARIO SD is the ultimate flight instrument specially built for pilots which do not need navigation functions. Skytraxx Beacon emits position info over FANET and FLARM, so you can be seen by other paraglider and hang glider pilots on their FANET equipped devices. More important, it's a critical safety feature where sailplanes and helicopters operate. Those will see you on their FLARM devices as well. Additionally it can be used as a cost-effective tracking device. SYS'Alti V3 is an alti-vario with G-meter, ideal for beginners. One of the latest ultra-lightweight flight instruments from Syride, it has a high resolution pressure sensor and all the expected features of an altimeter-variometer, at a reasonable price. Element Speed is right for you if you are looking for a simple, robust and reliable vario with essential GPS features. SYS'GPS V3 is an alti-vario-GPS with G-meter, perfect for fun flying. One of the latest ultra-lightweight flight instruments from Syride, it's an altimeter-variometer-GPS which includes latest technologies, unique features and a fully customizable screen. The GPS SD is the ideal instrument for flying non-competition XC flights. It has built in airspace avoidance and many other functions for optimising a great XC flight. SYS'Nav V3 is an alti-vario-GPS flight instrument with G-meter. Lightweight, powerful, practical and affordable, it is a great option for cross country flying and can also be used for competitions. Element Track is right for you if you need a robust and reliable device for your cross-country flights with basic airspace warnings. The Flymaster M1 turns any Flymaster flight instrument into an onboard motor management system for powered aircraft. The M1 Motor gathers information precisely from several sensors connected to the motor, recording this data and sending it via an RF interface to Flymaster instruments. The Skytraxx 2.1 is the updated version of the Skytraxx 2.0.